These are Vintage ’72 Wide Range Humbuckers built to fit Jazzmaster guitars. These use the same vintage correct bobbins and threaded magnet/Alnico combination as the Vinage ’72s but mounted to a Jazzmaster sized base. The threaded pole pieces have 54mm spacing in the neck and bridge and are fully adjustable. 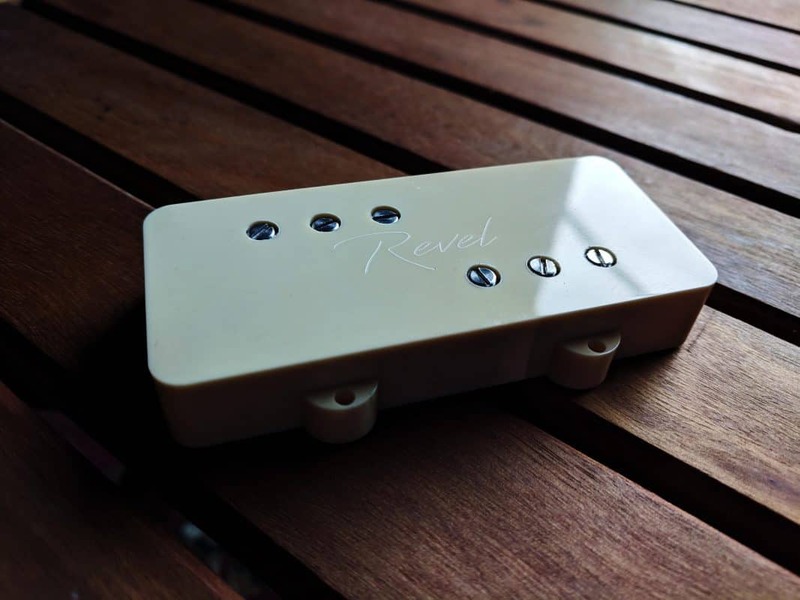 Read all about the Revel Vintage ’72 pickups here. 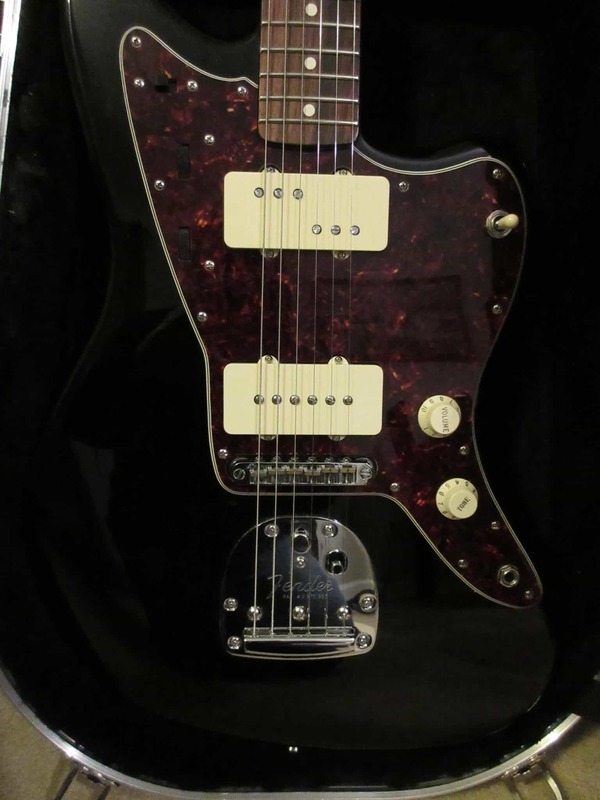 These mount the same as stock Jazzmaster pickups and require nothing special nor any modifications. Like the stock Vintage ’72 both the neck and the bridge are wound with equal number of turns. If you want the neck under-wound for better balance between positions please let me know. 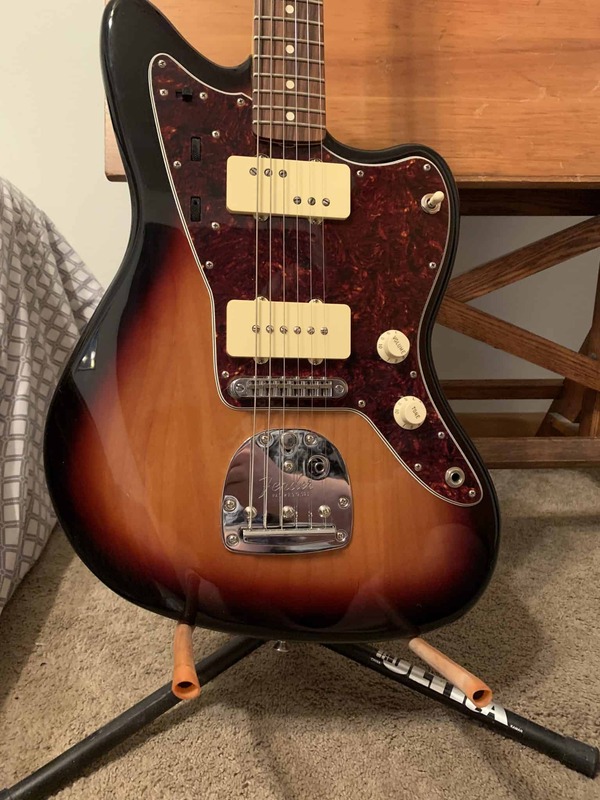 The “underwound Neck” checkbox is for an 8.8k wind to go with stock JM pickups or to retain more Jazzmaster qualities. I put this in the neck of my jazzmaster. I wanted to thicken up the overall tone but still maintain clarity, which is exactly what this did. Easy swap, exact fit and color match. I highly recommend this fir anyone looking to thicken their jazzmaster sound! I wanted to reduce the hum while having the bright sound of single coils compared to a regular humbucker, and this does exactly that. I replaced the neck classic player pickup (almost a P90!) in my guitar, and the sound is pretty amazing, almost like an old telecaster in the middle position, but with more punch. The color match is perfect with the stock pickup cover, and the size is identical to the stock Fender. 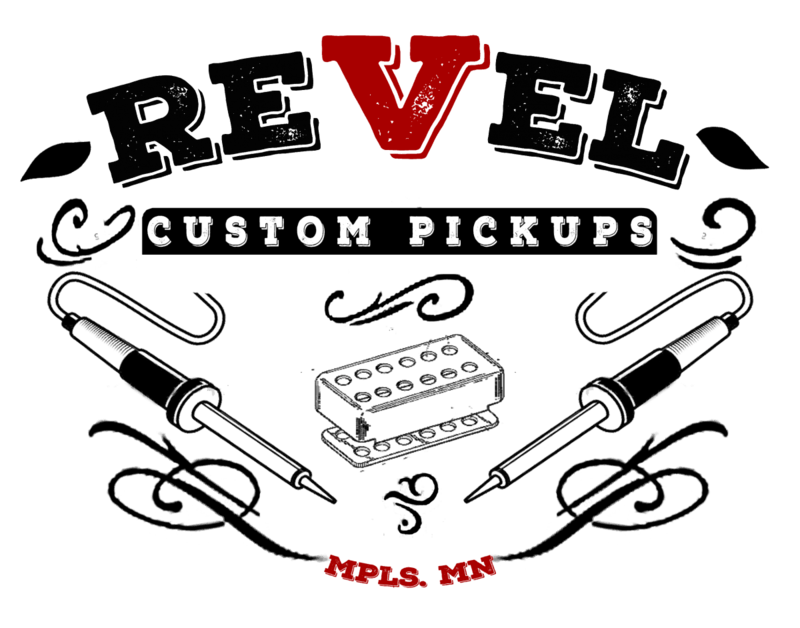 If you need more beef in your Jazzmaster but want your guitar to still sound like a Fender, give it a try!